This sure is a poor excuse for an article... A little late too. Should have reported on this about 2 weeks ago. CNN needs to get better gaming articles/writers. Only little kids waste money on dressing up avatars. Microsoft knows how to bank on the suckers. Paying more for digital distribution is ridiculous, but not a surprise. Publishers want to reduce the cost of making physical copies of games by distributing their titles online for the same price or more as the is the case shown above. Sorry, but if I'm paying full price, I better get the full package. For a digital copy of a game, I shouldn't have to pay more than $45. Even Sony is pulling off a similar scam in which as their online titles age, they still charge the same price while the physical retail version is in the bargain bin. Valve Steam service also pulls off the same scam. Until these companies get their act together and reduce prices on digital content, they will continue to see people not purchasing full retail games online that can be bought for less in stores. Hey man, I think this was nice, and seriously how many nerds cruise cnn.... i dont think the demand for video game information on cnn is exactly great. get to GI or xbox live smurfette. either way im excited about this. I get my gamer news from kotaku. But at work, I can't access that site. So I'm stuck on CNN all day. It would just be nice if there was a bit more stuff on here about gaming. And when they do put something up about it, it would be nice if it was more than the stupid stuff I've been reading the last couple days... I mean, what the heck was with that other article about console gaming becoming extinct and calling stupid internet flash games the new future of vidja gaming??? How old are you? Only a child comes on lobbing insults at people, it reflects your ignorance. By the way, GI and Xbox.com are not newsworthy sites. They cater to children and have completely biased reviews for obvious reasons. If you want real reviews, go to independent blog sites where average gamers review games and are not compensated for it. What is Xbox 360. Is it like iphone? "I am a little disappointed by the pricing in the games marketplace. The online games seem to cost slightly more than purchasing a physical copy at your local Best Buy." And I'm assuming that's a new copy. Forget that! GameStop used games, plus 10% off with my card FTW! Selling full-priced games is not going to do that well, especially when Xbox still has the ring-of-death problem. Plus, there's nothing like actually holding a piece of purchased goods in your hands. Netflix is the only thing I have tried since the update. My internet access at home is spotty because of all of the devices my techie fam uses at once. I always had issues with netflix buffering 1 or 2 times during a show, lasting up to 30 seconds. Since the update the buffers take ALOT less time, 1 or 2 seconds, which I love. But i found there were more of them, 3 or 4 each time, and 2x rather than buffering it completely froze my XBOX. I couldn't return to Dashboard, the Xbox button did nothing, and I had to hard shut down from the power button on the XBOX. Alot less time buffering is cool, but with the known failures in the XBOX hardware my heart skips a beat each time it happens hoping I don't need to buy a new system. I love the outfits and props, when they finally released the update I didn't realize you would be able to dress your avatar in COSTUMES not just clothes, that completely changed everything, now that I can dress like Obi-Wan from Clone Wars (albeit with Anakin's lightsaber WTF?!?!) I took note of the genius of MS, hell they sold me on buying it...but seeming as my gamertag has "Kenobi" in it I coulnd't resist LOL. The prices on the digital games should drop with age and because of the digital format. As has been stated, the lack of printing, packaging, shipping and outside sales should allow for lower prices as well as higher profit margins. I would guess Microsoft either has unknown overhead withthis process or is a little greedy. My concern is what happens when your hard drive dies or you want to go to a friend's house? Do you have to pay over again or can you download another copy? If I buy a CD, I can take it to my friends or play it on a replacement Xbox. Avatar Marketplace – You can pay $5 for a costume, or you can pay $5 for a game. I think this was a big mistake charging people to customize their person. A "feature" indeed. ******* Games on demand – This has been available for several years now, they just changed the name. You could buy xbox originals as well as thousands of games on the marketplace. Now you pay $30 for a game that you can get at a local gamestore for $20. It doesn't really make sense. Off gate, I don't understand why you would have to pay to customize your avatar unless the retail companies are charging overhead to use their logo. But then again how often do most people really change their avatar? If they change them at all. The 'on-demand' game prices are ridiculous. As it has been stated before, without a hard copy of the game what is the reasoning behind the high price. Especially with the hardware issues. As with most people I have experienced the 'red ring of death' and after purchasing a new XBox I wasn't even able to play shows that I had already downloaded. I actually like the next Netflix update. One problem though... Every once in a while, after watching a movie, my screen goes screwy. I get this off-centered split screen effect that I have to shut down my XBox to correct. The current updates are a slight step in the right direction but it seems as though Microsoft can't figure out a way to fix their hardware issues. A big drawback to purchasing these online games at the same price as the physical games is that when your sick of the game you no longer get any trade in value for it. You simply delete it, and some trade ins will get upwards of $25. "A big drawback to purchasing these online games at the same price as the physical games is that when your sick of the game you no longer get any trade in value for it. You simply delete it, and some trade ins will get upwards of $25." most I have ever got is $5. If you ever replace your XBOX ( 7 replacements for me) any DLC you buy you lose. (even with the same account and hard drive). Makes no sense to buy anything Downloadable from XBOX LIVE, you will eventually get ripped off. I had just purchases Halo 1 on Demand, Xbox broke, bought a new one, used the same Hard drive and account, but it simply says I can NOT redownoad it again ..
After a License Transfer it still wont let you have what you paid for. Your XBOX will break eventually. 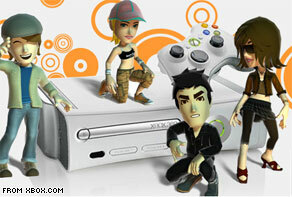 Wii HD coming in 2010, claims mole... Netflix-for-Wii too! I own an Xbox and a Playstation and both are really good game consoles. Let's see what are Microsoft's future updgrades on its Xbox game console.". Hey Pete,Your grandfather soudns like a great man. People today could still live the life and be happy the way he was. Society tries to brainwash you into thinking you need the best (most expensive) of the best. When in reality, the best things in life are free. Love, family, friends, a job you like (it doesnt have to pay all that well!) People become caught up in the game and become greedy. Trying to make the most money no matter what it takes. Money is overrated. It changes people too. But you know what it was that taught me to appreciate the real things that make life worth living? Technology. You can almost see what is good and what is bad and the internet provides you with both outlooks. I have seen so many things online and read so much that I realize that it isnt money that will make me happy. It is what I have in my heart. Whatever it is that makes you truly happy to be alive (and it never should be money.) That is what you live for. I would much rather love a man that had nothing, so long as he loved me than love a man that had everything but was too caught up in it that he never could actually see me for who I am. Call me a hopeless romantic but I would rather choose that way of life than become engulfed in the worlds fixation on superficial possessions.